As the OTT marketplace has exploded over the last few years, leading streaming providers like Netflix and Amazon have been increasingly focused on creating their own original content. 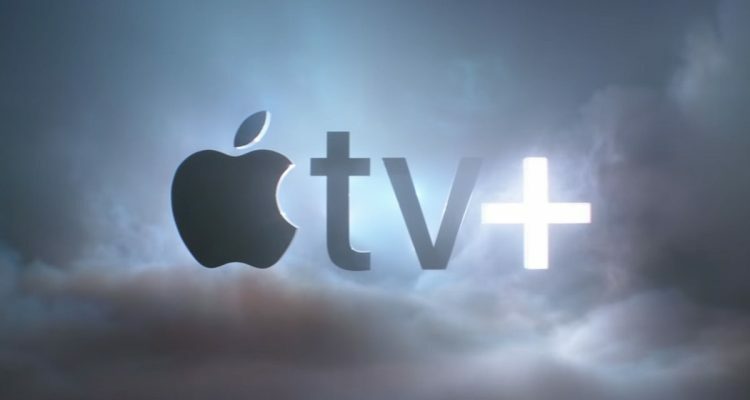 Recently, Apple TV+, Disney+ and others have thrown their hat into the ring, which means more original titles and more choice for consumers. An increasingly fragmented VoD market, with each provider offering independent catalogues of their own original content, is generating an increased user demand for universal search and discovery features. To simplify the experience, Vennetics and Reelgood are introducing a new solution with support for all of the leading streaming providers, including the forthcoming Apple TV+ original content. Vennetics has been delivering carrier-grade solutions to service providers such as Bell, H3G and Telkom Indonesia for more than 10 years, supporting mass market services in North America, Europe and Asia. The Vennetics MVP technology is also pre-integrated with all of the leading VoD platforms. This includes the business integration required to deliver a revenue share from OTT content, for the data network providers that carry these video streams. “Network providers have been making huge investments in data capacity, facilitating billion dollar streaming companies in delivering their products to end users. This Vennetics and Reelgood solution will allow network providers to earn a revenue share from the rapidly growing OTT premium VoD sector,” says John Hamill, Vennetics CEO. Viewership for linear TV continues to decline and the growth of on-demand consumption continues unabated, such that service providers are responding with their own catch-up and on-demand capabilities. However, an on-demand catalogue merely consisting of the most ubiquitous movies and TV shows, will be inadequate for users who want to discover the latest original content. Streaming users want to select from the most compelling content with simplicity. 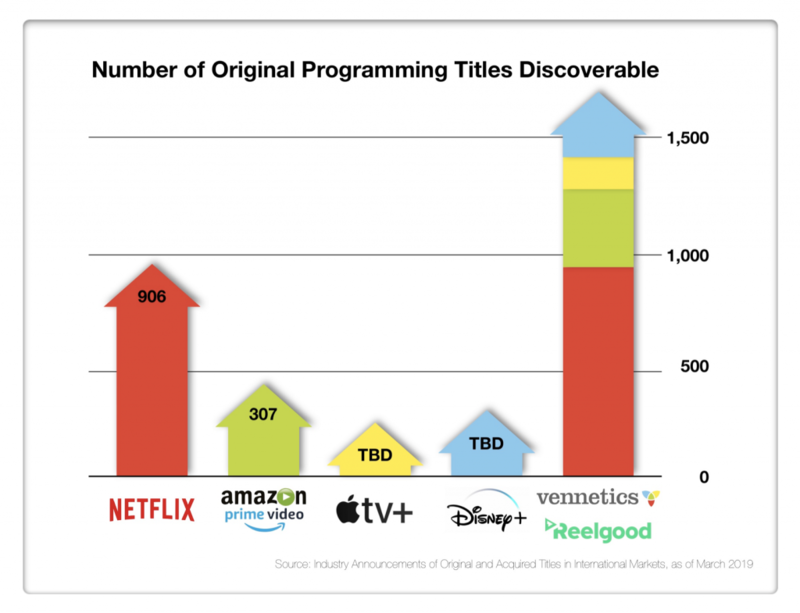 Vennetics and Reelgood are meeting this need for service providers, including the new Apple TV+ catalogue and all of the other leading original VoD content, while supporting a business case that generates an incremental new revenue stream. As the leading independent streaming guide for consumers, Reelgood already provides universal search and discovery for the US market. By aggregating OTT services into a unified interface, Reelgood solves the SVOD fragmentation problem on mobile, web, and, soon, many of the world’s major smartTVs. “As SVOD fragmentation continues to spike, consumers still want the same thing: the convenience of finding all of their content libraries in one place.”, says David Sanderson, Reelgood CEO. “We look forward to partnering with Vennetics to solve SVOD fragmentation in Europe”. Vennetics was founded in 2007 by a forward-looking team, with proven experience in both the communications and information technology industries. At Vennetics, we’re committed to providing our customers with the technology to launch relevant and engaging services, which delight their customers and meet their evolving entertainment and communication needs. Reelgood provides the world’s most extensive streaming guide, with every TV show and movie available to stream online. Browse through every TV series and movie and sort by title, release year, genre, IMDB rating and most important – see where to watch it. Then play with a single click or tap. From Starz, FX, Showtime, Hulu, HBO, Amazon Prime, Netflix, CBS, Cinemax, Crunchyroll, to a free bundle that includes programs from sources like Crackle, ABC, Fox, NBC, Disney, now viewers have access to a massive library of watchable content—through one platform only! That’s Reelgood.